Get proper cover for your next holiday when you have a benign cyst. 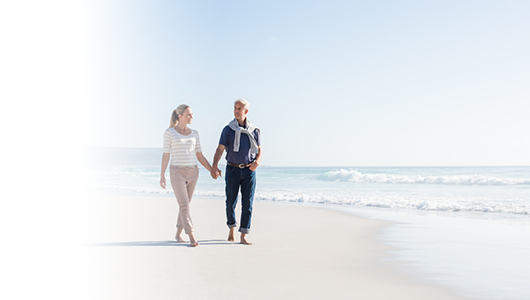 Find out more about our travel insurance below. When you’re ready, get your quote online or talk to us today. A professional service. Look no further. Living with a benign cyst shouldn’t interfere with your holiday. It’s important that you’re covered properly before your trip, just in case something goes wrong when you’re away. Good quality travel insurance means you’re properly protected for your health and other concerns, such as delayed flights and lost property. You can tailor your policy to a level that suits your wallet and covers your needs, whether they be medical or activity related. You can get your quote online in just minutes, or one of our friendly team will be happy to help you through the process over the phone. Why not get your tailored quote for a benign cyst online today, or call us now on 0800 033 4902. Why do I need travel insurance for a benign cyst? When travelling with a benign cyst, it’s always best to be safe than sorry. Things can go wrong on holiday more often than you might imagine, with 1 in 20 people claiming on their travel insurance in 2017**. The costs of medical treatment can be very high abroad. A medical emergency can give rise to further costs, from having to book new flights home or needing medical repatriation by air ambulance. Then there are non-medical risks: delayed luggage, lost or stolen property, late flights and cancellations, even End Supplier failure. 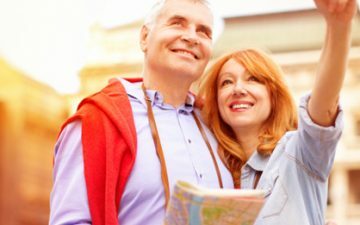 But if the unexpected strikes, a good travel insurance policy can spare you from unnecessary worry and unexpected fees. So, when you buy your insurance policy from us, you’ll be buying practical value and peace of mind. We see having the right travel insurance is at the heart of any happy holiday. What does our travel insurance for benign cysts cover? Should I take a European Health Insurance Card (EHIC) on my trip? If your trip is within Europe, then absolutely. In fact it’s a condition of our insurance that you take your EHIC with you in relevant countries. If you’re off to EU member countries plus Lichtenstein, Norway, Iceland and Switzerland, an EHIC is vital. But please note that an EHIC is not a travel insurance policy. The NHS advise that you always get proper travel cover too when travelling abroad. An EHIC does entitle you to subsidised or even free medical treatment when you use a state healthcare provider (such as our NHS). If you’ve bought your policy with us and you need to use your EHIC, then we’ll remove the excess fee for medical emergency claims. But an EHIC cannot cover you for a flight home if you miss it because of illness. It won’t cover the costs of medical repatriation (for instance, flying you home in a helicopter ambulance), which can be a real strain on your life savings. Nor does it cover all the other usual aspects of travel insurance – for example cancelled or delayed flights, lost luggage or a stolen passport. Do bare in mind that even within the EEA, there are a few places such as Jersey and Monaco that don’t accept an EHIC. So it’s always best to check that your EHIC is accepted where you are travelling to. To find out whether we can cover you for your trip, first you will need clearance from your GP to travel, and then we will need you to complete a medical screening. The screening can be done online, or over the phone if your prefer. It’s an easy process and is completely confidential. What does the medical screening consist of? We’ll need to ask you some simple questions about your benign cyst and any other medical conditions you may have. Please make sure that the answers you give are as accurate as possible. If you have a medical condition and it hasn’t been disclosed to us, you won’t be covered for any medical emergencies further down the line if you need to claim. What will I be asked during the medical screening? • Is this a benign cyst of: (e.g. brain; pancreas; kidney; liver; ovary; skin; epididymis; pineal gland; none of these)? • Has the cyst been fully removed? • Is any further treatment planned for this condition? • Are you currently taking medication related to this condition? • Are you under continuing medical supervision for this condition? The screening process is quite straightforward, but if you need us to clarify anything please do call and we’ll be happy to help. While you’re completing the screening, it may help you to have details to hand of any medical conditions that you have. You can get your quote online now, or you can call us today on 0800 033 4902. I’m awaiting surgery for my benign cyst, can I still be covered? We will still be able to cover you for other travel-related problems, such as lost luggage or flight delays, but would have to exclude all of your pre-existing medical conditions on your policy. Unfortunately, if you are awaiting surgery, we are unable to offer you medical cover for your benign cyst and any other pre-existing medical conditions. I’ve got a benign cyst. Can I still travel? So long as you have medical clearance. If your doctor gives you the go ahead, and we can cover you, then yes. 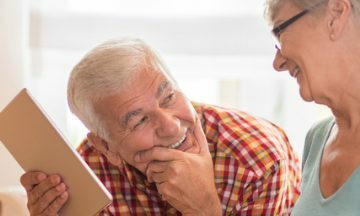 What if my medical situation changes after I’ve bought my policy? If something changes with respect to your cyst or any other aspect of your health, then you need to call us as soon as you can. We’ll see if your policy will cover you or whether an additional premium will be required. We’ll always do the best we can for you, and it’s vital not to leave things to chance, so do talk to us. What happens if I have a medical emergency while I’m on my trip? If you need emergency medical treatment, simply call our emergency line – we’re on hand 24 hours a day. The number is on your travel insurance policy. We’ll help you find the right place to go for treatment, and if you need a translator between you and the medical team where you are, we’ll sort that out too. You can even reverse the charges if you need to. What if I have to make a claim on my travel insurance? Whether its medical-related or to do with some other aspect of your trip, then so long as its covered in your policy you should simply call us as soon as you are able. Hang on to any receipts or other documentation that might relate to your claim – it will help us help you as soon as possible. Get a quote in just minutes and tailor your quote for you and your family’s medical and travel needs today. Call us on 0800 033 4902 or tailor your quote online. *** 98% is based on claims made between January and December 2017. Payment within 5 working days depends on the insurer receiving all relevant information and documentation.